The manifold studies of cooperative media within the SFB 1187 lead to the collection of large and heterogeneous data sets on contextualized cooperative relations that must be managed. This presents challenges for sustainable research data management. Therefore, new research data infrastructures to support researchers in the SFB are devised to meet the various challenges. 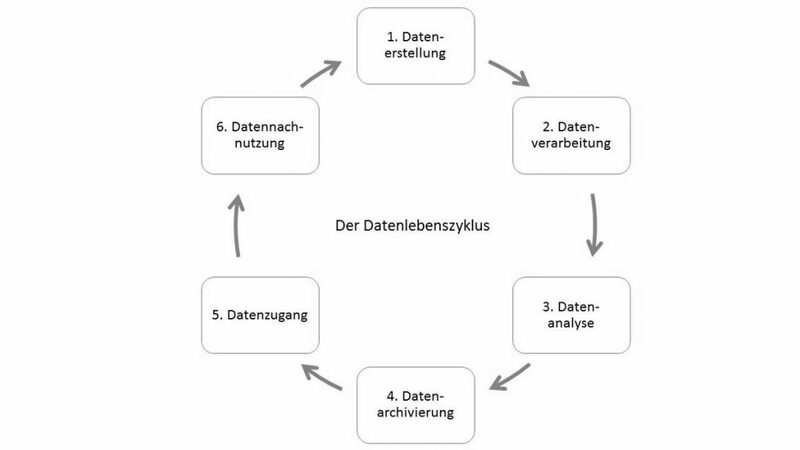 Appropriate base services for data storage are developed for a sustainable research data management, which enable the storage and management of research data on cooperation contexts and relations. The socio-technical study and design of cooperative research practices within the SFB is another central aspect of the subproject. Interdisciplinary and cooperative research practices are documented in an actor- and activity-oriented manner and made transparent for cooperating researchers. Through the study and design of cooperative research media, the subproject deals with the possibilities and limitations of different forms of cooperation in the social sciences and humanities in the joint collection, analysis, and reuse of research data. To support digital cooperative research practices within and between subprojects, INF develops and provides various exchange platforms as well as research tools and research infrastructures facilitating novel methods of data collection and analysis. 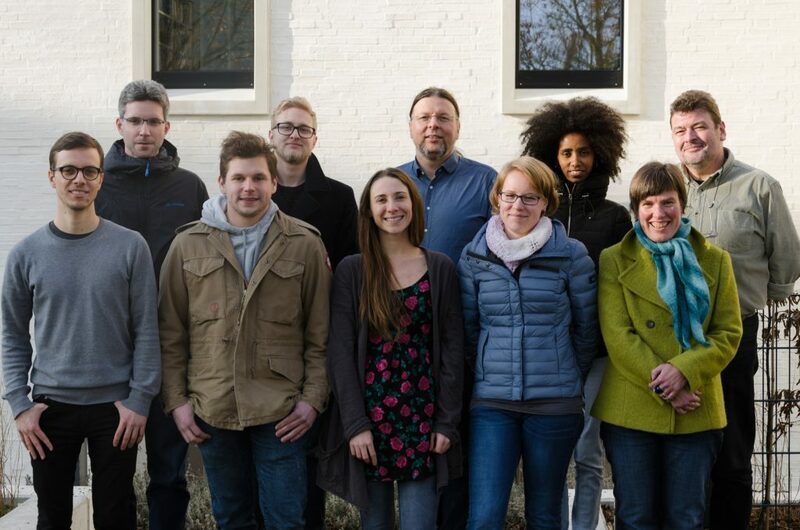 In subproject INF and at the University of Siegen, ZIMT is working together with the Siegen University Library toward providing a sustainable research data infrastructure for researchers throughout the SFB 1187, as well as finding appropriate solutions for research data management. ZIMT is committed to providing sustainable and quality-assured research data, working on guidelines for research data management as well as the provision of services and advisory structures. ZIMT closely cooperates with partners that already offer infrastructures for user needs in the digital humanities and social sciences (e.g., DARIAH, RADAR, RDA, nestor). The Research Tech Lab, coordinated by INF and A05, is an open forum for exchange for all members of the SFB 1187. In the Research Tech Lab, we explore, discuss, and design digital research approaches, tools, and instruments. The basic assumption of the Research Tech Lab is that IT design takes place in everyday use and involves the continuous appropriation of (digital) methods, tools, instruments, and infrastructures. Design is an important part of daily research practices. The Research Tech Lab thus calls for participation of all subprojects. Based on a 'Living Lab' approach, the subprojects are given the opportunity to discuss, analyse, and reflect their experiences with research tools and infrastructures. The Research Tech Lab usually takes place every two weeks during the semester. Additional room for further exchange and discussion is provided online on the SFB Intranet. INF pools expertise for the selection, evaluation, and use of specific digital research tools and infrastructures for all subprojects and coordinates, in cooperation with interested subprojects, the necessary technical and methodological developments. In particular, INF offers a range of specific research tools and infrastructures for the SFB 1187, supporting the conduct of social science and humanities research. Social Media Observatories provide a platform for students and researchers from all disciplines interested in doing research with or on social media. Developed and maintained by INF, the Social Media Observatories support data collection and analysis of and within social media platforms, including Facebook, Twitter, Instagram, YouTube, and Google+. Particular attention in the extension of the Social Media Observatories rests on supporting the collection not only of public data, but also of semi- and non-public social media data. As part of this effort, INF advices individual projects in assessing, selecting, applying, and extending existing tools and services for monitoring and analysing social media data. To support studies of mobile usage behaviour in natural contexts, INF develops and offers various technical tools based on modern mobile devices (e.g., smart phones, tablets). Tools for mobile data collection enable the gathering of reliable data about contexts of use (e.g., through screenshots/screencasts, audio recordings, GPS information, touch events, motion and position sensors, information about used apps and duration of use). The further development of the tools is primarily aimed at being able to collect usage contexts across devices, which enables, e.g., to capture collocation relationships or to link mobile usage data with additional ethnographic material. The book is an exploration of the theoretical, conceptual and methodological foundations of human-centred design. Specifically, it critically examines the notion of 'practice' and argues for an understanding of the concept which emanates from engagement with design problems rather than simply from social scientific theory. The contributors to the book in their various ways all subscribe to a systematic account of how practice- oriented studies can inform design. Wulf, V., Pipek, V., Randall, D., Rhode, M., Schmidt, K., & Stevens, G. (Eds.). (2018). 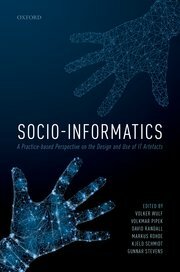 Socio-Informatics: A Practice-based Perspective on the Design and Use of IT Artifacts. Oxford, United Kingdom: Oxford University Press.